The best kept secret of the Apocalypse is the last Megalopoli on Earth, an ultra-top-secret project which was never revealed to any of the governments of the planet. Its exact location is unknown, its rulers are a complete mystery and its inhabitants are perhaps the worst threat for humanity since the end of the World of Before (and it is quite possible that they were indeed its primary cause). Satellites from Liberty City detected some unsettling undersea communications, and many of the city’s resources were put to the task of unveiling such mystery and identifying the source, but the Ambrosia plague which has driven nuts half of its population has halted all further investigations. Atlantea remains a complete enigma for the world, silently working in the shadows under control of its reptilian anunnaki rulers with the aim of eradicating all opposition and taking the planet: the mutual annihilation of the megalopoli of Luxor and Jerusalem, as well as Poltohar Abad and New Kolata, was their direct responsibility by infiltrating undercover agents and spies who stirred their rulers into a total war, and it is very feasible that they are also behind the sudden radio silence from Austral City. It is yet to be determined if the timely appearance of the Ambrosia psychedelic drug in Liberty City has also been their work, aimed to the downfall of this city that was so close to expose Atlantea. A recent expedition of the V Reich south of Gleaming towers, to a massive major city obliterated by the fire from the sky, hit the jackpot. Inside a building with five walls instead of just four, they made several discoveries each more amazing than the other. 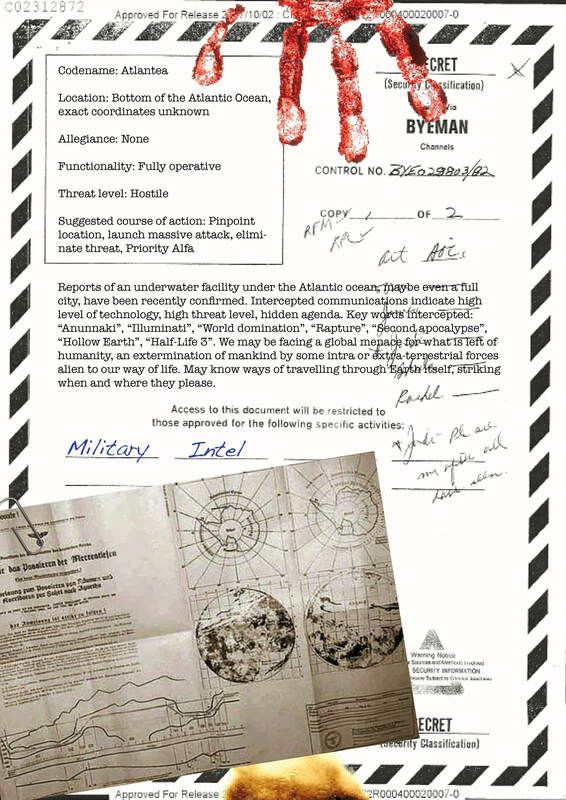 One of them is a top-secret military document which summarizes the few things known about this city and reveals part of the secret communications intercepted by the satellites. Whatever it is the real goal of these extraterrestrial shitfaces who have been pulling the strings of the world for thousands of years, it is surely not going to be cool at all. Download the document retrieved by the V Reich’s Aufklärer.